Nintendo 3DS users can preview the new themes heading to Japanese handhelds with an upcoming firmware update on the official Japanese website showcasing the themes. Announced late August alongside the New 3DS and 3DS XL, the firmware update that will open up the themes is expected to rollout in mid-October. As the website is for Japanese devices, it it not clear on how many of the themes will launch in the west. The website reveals almost 50 confirmed themes - including Monster Hunter, Animal Crossing, Mario and Youkai Watch along with 10 different Gun Volt sets - will be available at launch in Japan. With two free sets, themes generally range in price from 100 to 200 yen (approximately $1 USD to $1.80 USD) and third-parties can set their own prices. The full list is below. It's been three weeks since the last Pubcast and so Tristan, Lucy, Luke, Cam and Baker make up for lost time by ripping more tinnies than Boonie on the QF to London. 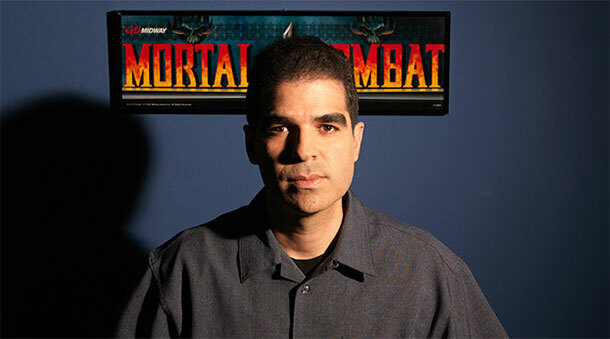 And we're not talking about the creator of Mortal Kombat! "You wouldn't believe how many autographs I sign as Pete Sampras!" Consequently things got a little rowdy. But would you really want it any other way? A Destiny bug has potentially revealed a ton of incoming content for Bungie's popular shooter. has one of the most thorough recordings) the bug appeared to affect the map screen after this weekend's patch. While gliding the cursor over certain planets, the message “requirements not met” and "expansion required" would pop up - similar to the messages we received during Destiny's Alpha and Beta periods, when locked out of the game's main missions. The bug appears to have leaked a bunch of new story missions, strikes, raids, and Crucible content, under the name of planned expansions The Dark Below and House of Wolves. This episode of Build of the Week covers a Path of Exile character build where the creator of the character is a high-tier supporter who has been allowed to design an item. His build uses this item and some clever tricks to create a very powerful character. Developer BioWare has released six new screenshots of its action-RPG, Dragon Age: Inquisition, ahead of its Twitch livestream. The six images, found below, showcase some variants of The Inquisitor that players can create and customize, as well as various foes such as a sloth demon. Another image offers more of a glimpse into the character creation tool, showing sliders for a range of attributes such as horn style and face shape. Further to this, at 10 AM PDT (6PM UK time), BioWare will take part in a livestream which is expected to showcase features and gameplay. Viewers can expect to see a live demonstration of the character creation tool, along with the reveal of a new "expansive environment which players will encounter on their epic journey to save Thedas from destruction." Later in the stream's schedule will be a Q&A with the game's creative director Mike Laidlaw, along with its producer Cameron Lee. Some highlights from the livestream are above, and the whole stream can be found on BioWare's Twitch channel. Dragon Age: Inquisition launches November 18 for Xbox 360, Xbox One, PlayStation 3, PlayStation 4, and PC. The RPG was originally pegged to launch an entire year ago, before it was delayed to fall 2014. Its most recent delay, from October to November, was due to BioWare needing more time to fix some lingering bugs, according to Electronic Arts CEO Andrew Wilson. For more on Dragon Age: Inquisition, check out GameSpot's previous coverage. The PlayStation Vita edition of the seminal sandbox game Minecraft is one step closer to release, with the game's code now going through its final bug test at Sony. Scotland-based developer 4J Studios, which is handling the port of Markus Persson's breakthrough indie game, has now submitted the game's code to Sony and is awaiting approval. This latest development suggests further that the PS Vita version will not be cancelled, by neither Sony nor Microsoft, despite the latter software giant purchasing the IP. We've handed Minecraft: PlayStation®Vita Edition over to Sony for final test! In mid-September, Microsoft announced it had agreed in principal to acquire Minecraft and its developer Mojang in a deal believed to be worth $2.5 billion. As part of that deal, the studio's three founders--Markus Persson, Carl Manneh, and Jakob Porser--will be leaving the company. At the same time, Microsoft assured that it would not be wiping any versions of Minecraft from Sony's devices such as PlayStation 3 or PlayStation 4. Sony, which retains the right to remove the games from its platforms, has not suggested that it is willing to delete any of the games. Since its initial release in 2009, Minecraft has been downloaded more than 100 million times on PC alone. The Xbox 360 and PS3 versions, released between 2012 and 2013, are still proving popular, with both games regularly holding their spot in the UK all-format top ten.